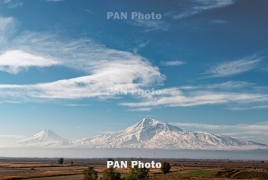 PanARMENIAN.Net - Tourism in Armenia grew 10.5% in 2018 year-on-year, the National Statistical Service reveals. The number of Armenians traveling abroad for leisure purposes grew 9.5% to 1.622 million in 2018. Across the globe, international tourism arrivals grew by nearly 6% to 1.4 billion last year, according to preliminary figures out Monday, January 21 from the United Nations World Tourism Organization. That’s on top of 7% growth in 2017, and higher than the 4-5% growth the tourism body expected to see last year. The UNWTO expects growth to slow further in 2019 to between 3 and 4 percent, “more in line with historic growth trends.” Stable fuel prices, more connectivity by air, and growth from emerging markets all lend to travel increases, but an economic slowdown combined with Brexit-related uncertainty and trade tensions could keep potential travelers grounded, the tourism organization said.